Heat a griddle pan, cook the pears in batches for 1 min on each side. Set aside to cool. 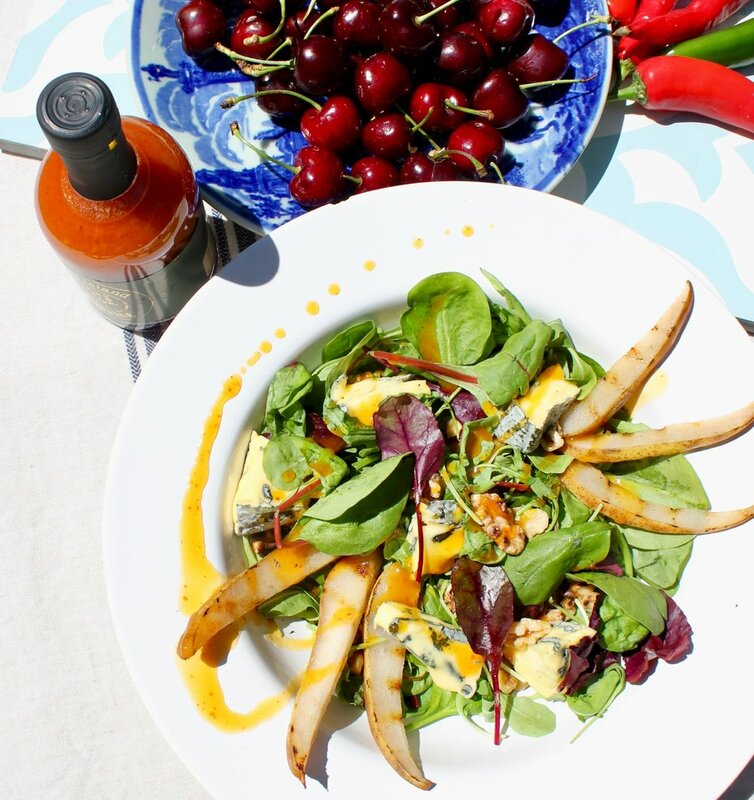 Toss the pears, leaves and cheese, place on plates and drizzle with the Chilli Cherry Drizzle!